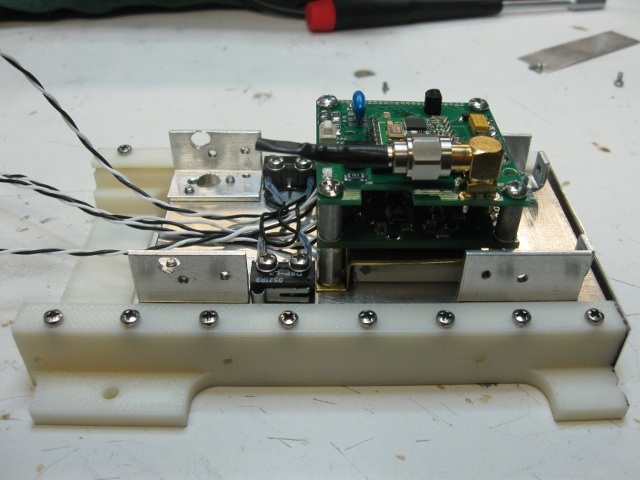 Michael Kirkhart KD8QBA provides an update on the $50SAT (MO-76) PocketQube. 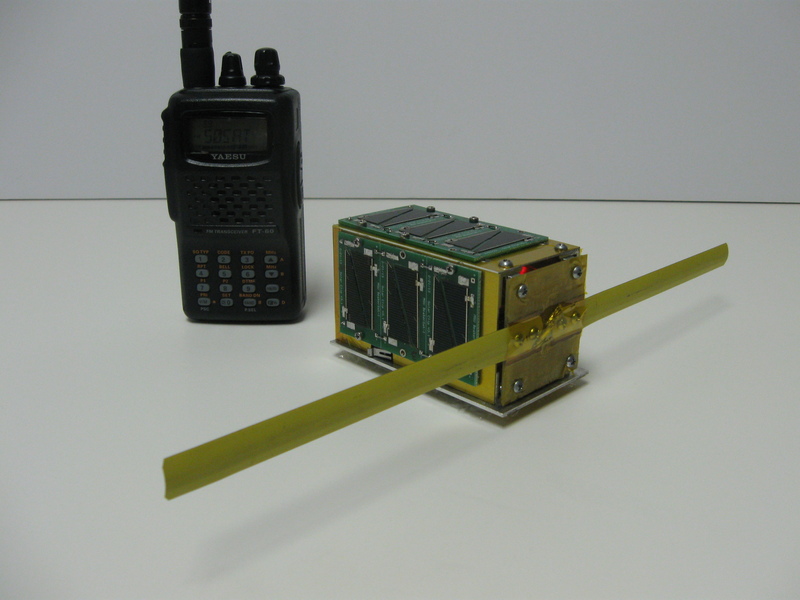 The tiny satellite which is just 5x5x7.5 cm and 210 grams has completed five months in space. As of Monday, April 21, 2014, $50SAT/MO-76 has been operating continuously for 5 months! Moreover, the weather here in EN82 land has improved considerably, allowing me to gather telemetry more often. I recently purchased a TEAC VR-20 digital recorder, which has eliminated the need for me to use my netbook computer for recording audio from my radios. In fact, I can basically “wear” all my gear – my FT-817ND is strapped around my neck, my headphones are over my ears, my AMSAT preamp is in my left pocket, my VR-20 is in my right pocket, and my Arrow antenna (or homebrew 6 element WA5VJB Yagi) is in my left hand, leaving my right hand available for tuning. About 2 to 3 weeks ago, the downlink frequency shifted down to where it should be, centered at 437.505 MHz. This caught me (and probably some of you) by surprise, as I had trouble finding the downlink signal when running LSB. As soon as I got used to tuning down, the frequency shifted back up to where it was originally – about 3 kHz high. Anybody else notice this? If the battery voltage is less than 3700 mV but greater than or equal to 3600 mV, the number of operational cycles per pass about 600 / (43 + 50) = 6.45, giving somewhere between 6 and 7 cycles per pass. If the battery voltage is less than 3600 mV but greater than or equal to 3500 mV, the number of operational cycles per pass about 600 / (43 + 126) = 3.55, giving somewhere between 3 and 4 cycles per pass. Up on the Dropbox, I have uploaded a new TLE set (element set 174) as well as an updated RTTY reports file. Thanks to all of you, this file has grown significantly. As of Tuesday, April 22, we have 950 unique telemetry packet captures. We are working on “scrubbing” through the telemetry data and importing it either to a spreadsheet or a database so we can start analyzing the data. We appreciate all of you folks who have been gathering telemetry for us, and encourage you to keep doing it. I have also uploaded a spreadsheet showing the “valid” values for both solar and battery voltage. Even though $50SAT reports both of these voltages in units of mV, its resolution is only about 20.2 mV. As a result, there is a finite set of valid voltage values which can be reported. The spreadsheet uses the actual calibration values from the MK4 CPU board used in the flight model, and computes the mV values the same way the PICAXE CPU in $50SAT does. This information is quite helpful in recovering partially corrupted RTTY packets. $50SAT was a collaborative education project between Professor Bob Twiggs, KE6QMD, Morehead State University and three other radio amateurs, Howie DeFelice, AB2S, Michael Kirkhart, KD8QBA, and Stuart Robinson, GW7HPW. The transmitter power is just 100 mW on 437.505 MHz (+/-9 kHz Doppler shift) FM CW/RTTY. $50SAT uses the low cost Hope RFM22B single chip radio and PICAXE 40X2 processor.